Researchers modeled continental drift, going back 240 million years ago, on the scale of millimeters per year. It starts really slow and as if the supports give way to the separating pressure, there’s a relative burst of movement. The full paper is in Nature, and the interactive version, which is a bit rough around the edges, can be found here. Select the time, rotate the planet around, and press play to watch the continents break apart. As we slip and slide, we might spare a thought for William Buckland; he died on this date in 1856. 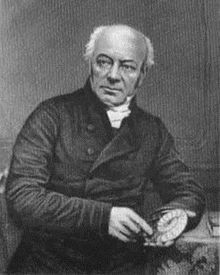 A English theologian who became Dean of Westminster, he was also a paleontologist (who wrote the first full account of a fossil dinosaur, which he named Megalosaurus) and a geologist (who was known for his effort to reconcile geological discoveries with the Bible and anti-evolutionary theories). A gentleman of some eccentricity, Buckland undertook his field work wearing an academic gown.